Welcome to The Smile Gallery! When you arrive at our office you will notice that we all smile and we will make you smile too because we enjoy what we do. What really sets us apart though is what we strive for and provide here at our office and that is our five core values: honesty, trust, quality, comfort, and time. 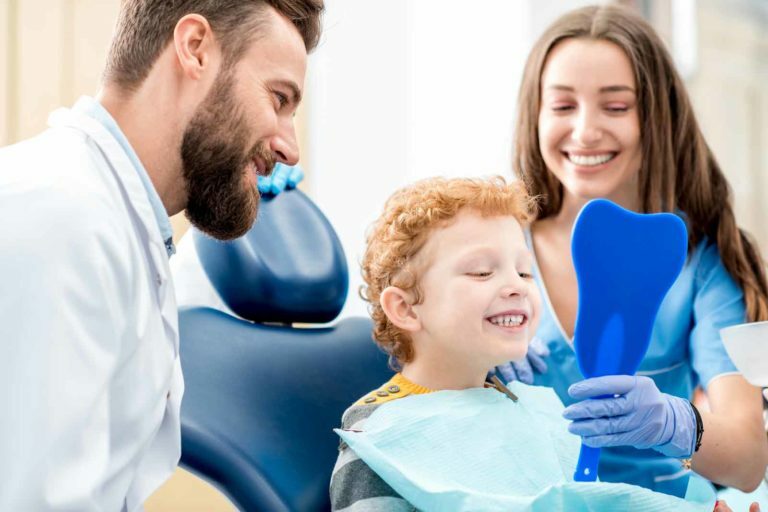 Trust is our primary goal at our Escondido dentistry office. Rest assured we provide all our patients with an honest diagnosis and treatment. We treat our patients as if each patient was our own family member. We believe this is the reason the majority of our patients send their families to us. We enjoy showing you high quality intra oral photos of your teeth so you can see where and why we diagnose treatment. We perform the highest quality dentistry in Escondido that the profession has to offer. Only the latest materials and techniques are used at The Smile Gallery providing you with long lasting restorations. Ready to come see us? Please take a moment to fill out the new patient form–click here.